When someone walks into our house, they see a home well lived in. 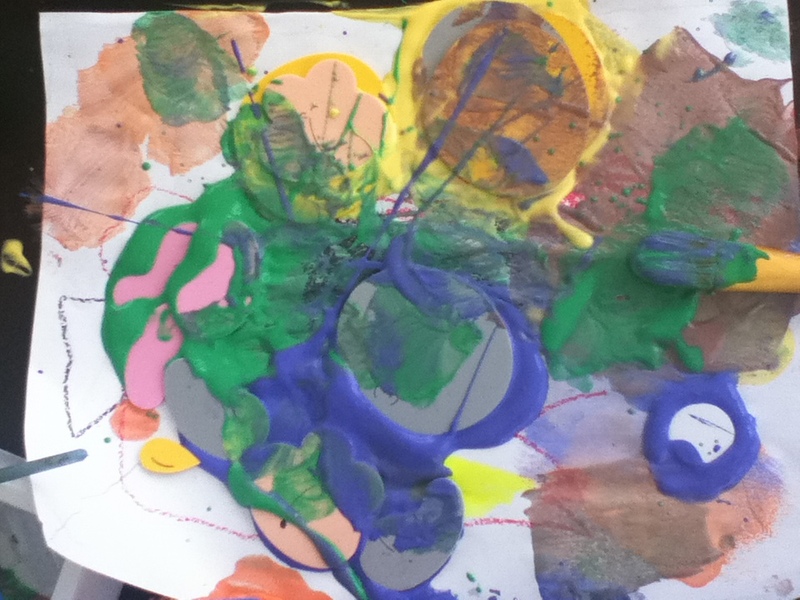 Some people may see the paint on the floor, or the million-and-one pom-poms scattered from wall to wall. But others race in, unaware of the clutter. Instead they find one station or another and begin working. At the dinning table we have crafts of one sort or another. 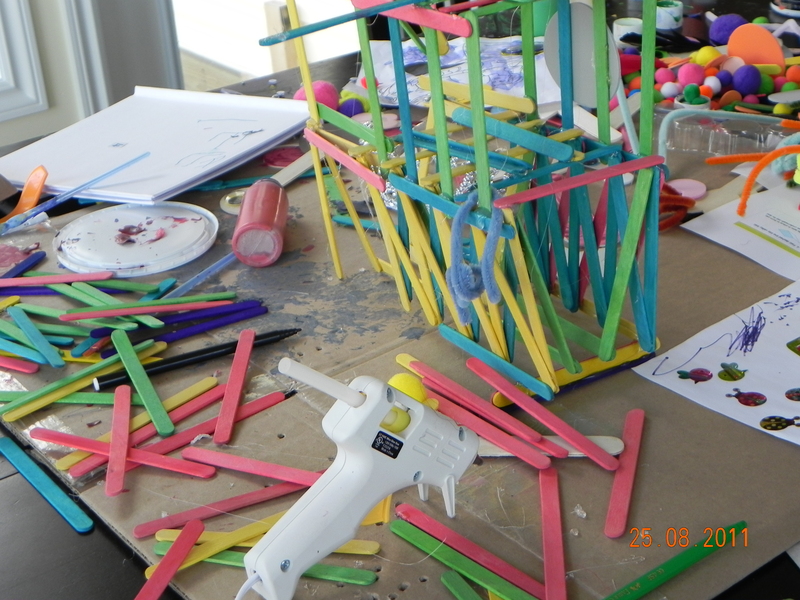 Right now we have popsicle sticks, pom-poms, paint, feathers, and the glue-gun. We’re all working on a structure of sorts. We hope anyone who comes to visit will help build it. Though so far no one’s really shown that much interest in the crafts. 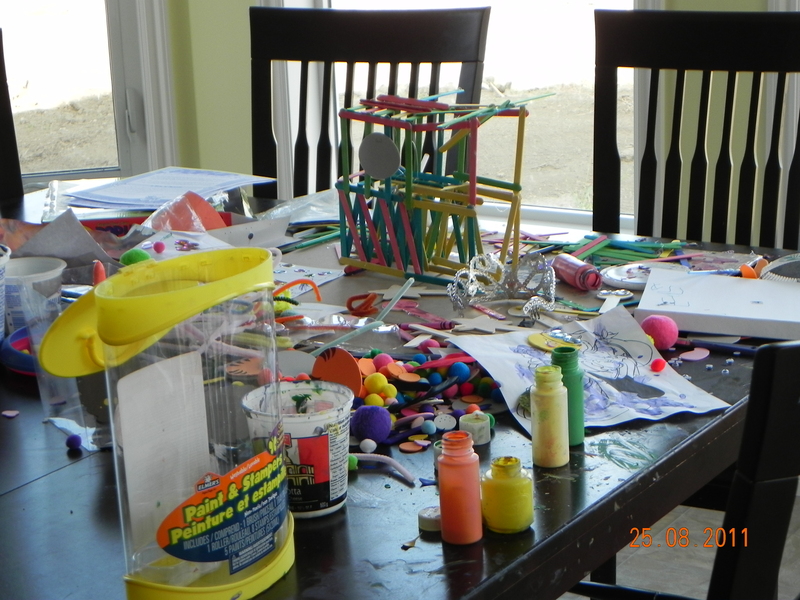 We have crafts supplies in various places around the house. We believe availability will increase the girl’s desire to create, as well as their ability to express. 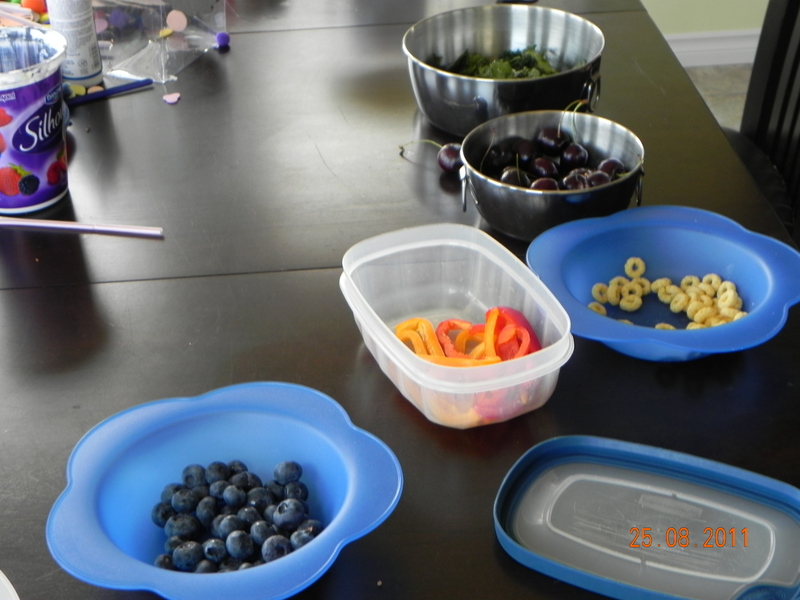 Right now the girls enjoy working at the kitchen table. It’s close to where I spend the majority of my day. There’s also easy access to food, music, and shows. Over the past few months we’ve seen our girls blossom in their ability to create masterpieces using the materials available to them. We try to keep snacks available at all times. Beyond the stuff we strew around for the girls to use, they also find other items to play with, and new uses for old toys. 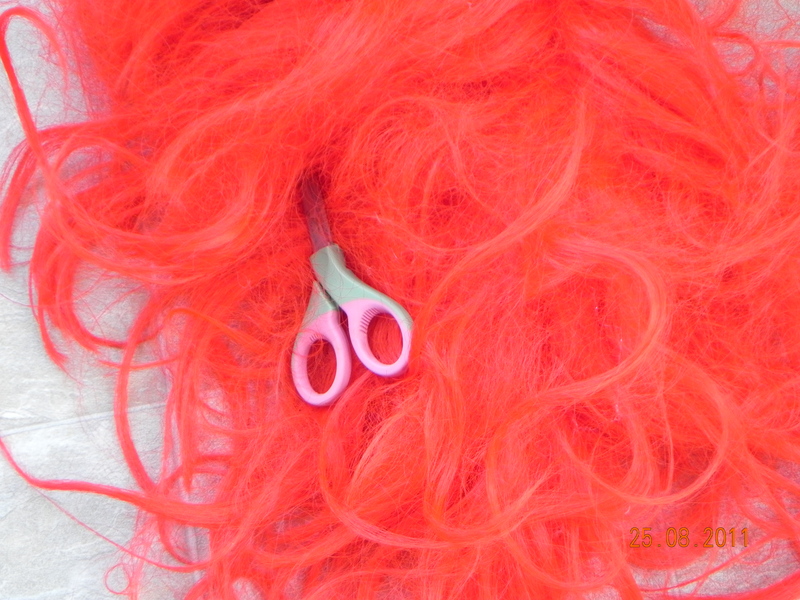 Here are the scissors and Ariel wig Ella first used to practice hair cutting on. 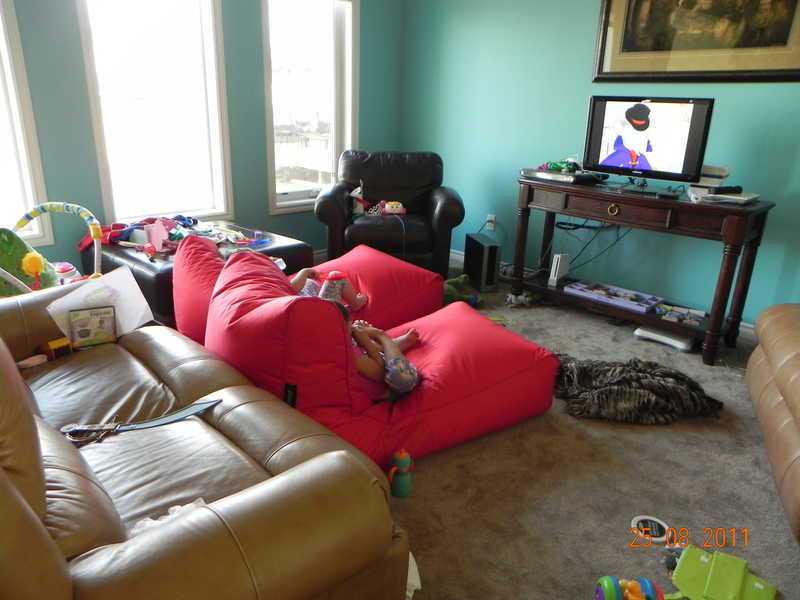 We’ve moved bean-bags to the living room so the girls have a comfortable place to sit while watching shows or playing Wii. They also provide a place for the girls to climb and jump. Otherwise they climb on our recliners – I really don’t want our recliners broken, and I don’t want someone hurt by them flipping over the back. Now there’s a place for their BIG activities right there in the heart of the home. What a really fun piece of writing.